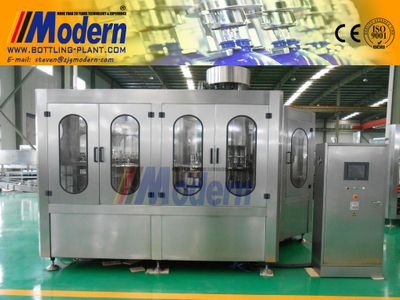 - Buy Water Bottling Machine from Zhangjiagang Modern Machinery Co., Ltd.
Modern brand water bottling machine collects washing, filling and capping together.It is mainly suitable for washing filling and capping round or square polyester bottles.It is researched and developed on the base of importing, assimilating and absorbing the advanced technology of Germany. 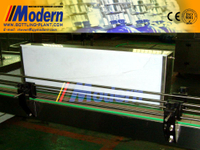 Finished bottled water driven by the transmission motor. 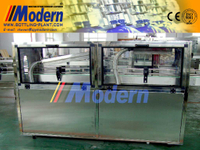 It is high automation, compact structure, beautiful appearance, convenient and simple operation, safe and reliable, continuous stable production and others. 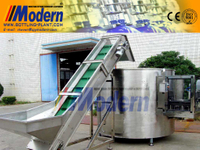 It is mainly used for washing, filing, and capping non-gas liquid, such as mineral water, pure water. 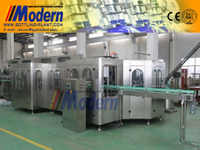 The whole water bottling plant consists of water treatment system, bottle blower, bottle unscrambler, air conveyer, water bottling machine, labeling machine, and bottle packing machine. 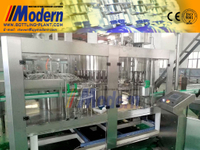 Besides, our bottling machine is able to meet different production requirements. The prime features associated with water bottling machine are robust construction, low maintenance cost and simple to clean properties, these industrial RO systems are largely approved in the market. 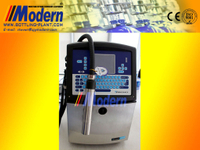 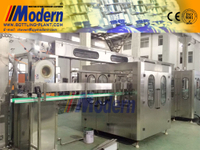 Modern brand water bottling machine can be purchased to obtain great benefits.